A couple of years ago we were invited to contribute to the hiking book Wanderlust: Hiking on Legendary Trails with photos and descriptions of our 2015 trek of the John Muir Trail. It’s a beautiful coffee-table book that will make any hiker salivate. Flipping through its pages, we fell in love with many trails around the world, but one in particular seemed to beckon more strongly than the rest: the Annapurna Circuit. dearantler now returns with a show dedicated to conveying the magic of Nepal and of the Annapurna Circuit, considered by some to be the best long-distance trek in the world. The AC begins in sub-tropical rainforest and follows an ancient trade route that passes through villages, rhododendron forests, river valleys, and up to a very high pass at nearly 18,000 ft, all the while surrounded by peaks of 25,000 ft or more. The experience of trekking was unlike any we had had before — with an unexpected mix of cultural immersion and stunning natural beauty enjoyed in intervals of effort and reward. Suspension: Bridging to the Impossible is a fine art homage to this experience. Check out our travel blog post for an homage through words and photos. 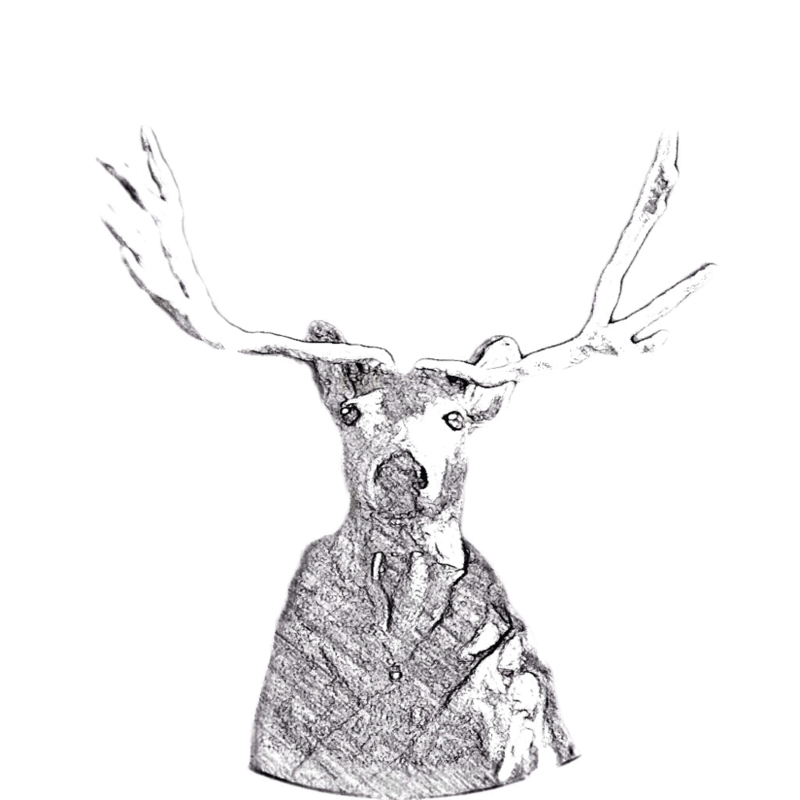 As with all previous dearantler shows, this one takes its name after a Hitchcock film. Here we take artistic license to turn Alfred’s Suspicion into Suspension. Suspension of what, you might ask? Suspension of disbelief — and an openness to the possibility that the impossible can and does happen if we are only willing to cross the bridge. This show is dedicated to our dear ones Hilà and Mahalia, two young warriors journeying to full health with grace and strength. Annapurna Circuit, by Edith de Guzman. Linocut and prayer flag fabric on Nepali lokta paper. Edith’s series of linocut prints is a collection of vignettes of encounters on the Annapurna Circuit. 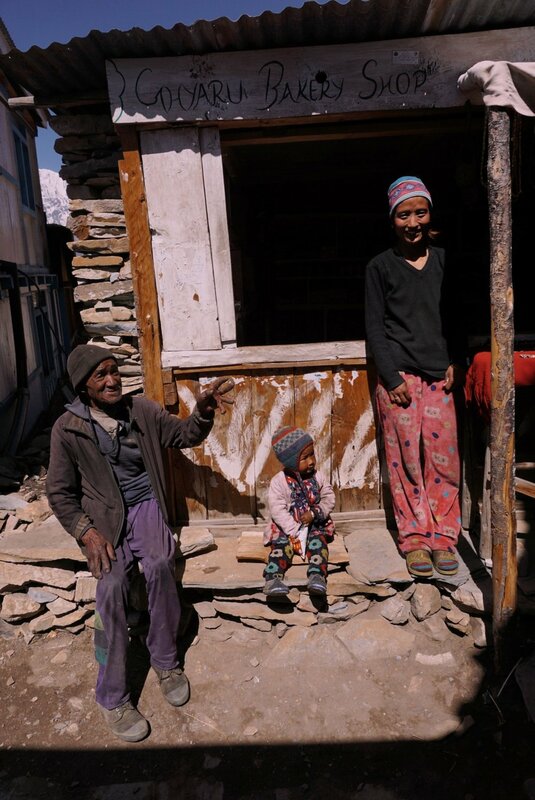 Half of the series shares encounters with some of its residents — a mother and child in the Tibetan village of Kagbeni, a yak with decorative headwear, a rhododendron tree. The other half of the prints convey encounters with the ever-present feeling of kindness and spirituality in this land, which draws from animist, Hindu and Buddhist influences. 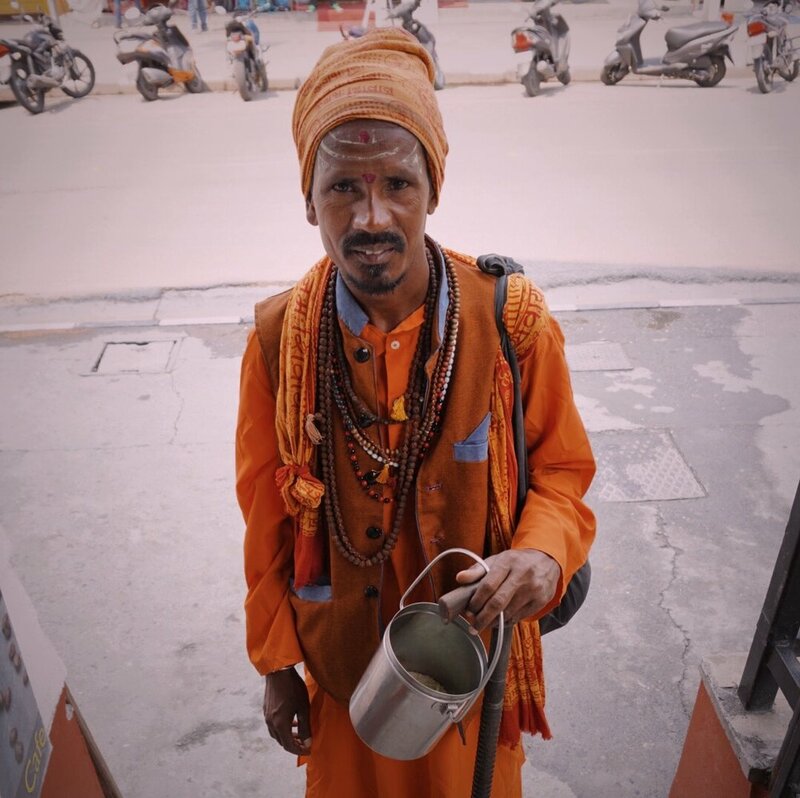 This kindness and spirituality is expressed through countless “chortens” (Buddhist monuments) featuring prayer flags, prayer wheels, and scripture, but it is also expressed through the warmth, mindfulness, and friendliness of Nepalis. No Guide, No Porter (Jagat), by Jolly de Guzman. Acrylic, micron pen, pencil, silver gel pen on book cover. Jolly’s series uses the insides of hardcover books as canvases for stylized compositions featuring animated mountains and residential “teahouses.” These two elements appear in each of the paintings, interspersed together in a balance between nature and culture. Each painting also features a ghostly suspension bridge superimposed in silver in a manner that does not connect any part of the scene logically with another. Instead, each bridge seems to be an ethereal messenger, a reminder of the connections to the self and to others — the exploration and celebration of which are the essence of life. When we decided to trek the Annapurna Circuit, J and I had imagined we would have short hiking days with time to spare at the end of each day. Not so. And so I carried a notebook, a novel, and watercolors up and down the world’s highest mountain range and am just now documenting the trip. Now I find myself in the position of recapping an indescribably new and rich set of experiences that occurred over nearly three weeks, with no real idea of how I’m going to do them justice in retrospect, when words are a poor substitute for the real thing. We hit the ground running as soon as we arrived in Kathmandu, a typically bustling capital of a developing country, but one with an infectious charm. Yes — it’s dusty, congested, and extremely noisy — but it also feels strangely calm and secure, like being in the eye of the storm. This feeling of safety followed us throughout Nepal, whole people are almost without exception trustworthy and warm, and are at the very least completely disinterested in messing with you. We had arrived with our guards up — ready to shield ourselves from swindling and other tourist-targeted forms of dishonesty that we have encountered in many parts of the world. We soon learned we could let our guards down in Nepal. It’s not that crime doesn’t exist in Nepal — it’s that it doesn’t warrant the focus it does elsewhere. Kathmandu is a high-energy explosion of color and activity everywhere you look — from tourist-centered Thamel, to Patan and Durbar Square, to the Bagmati River ghats where ceremonial cremations occur. Not surprisingly, we were confronted with poverty. Nepal is among the poorest nations in the world, but it didn’t feel so to us. Nepalis exhibit such strong, clear character that we couldn’t detect much in the way of desperation, misery, or conflict with what is. From my limited perspective, most people appeared at peace with their lot, engaging fully and meaningfully with what each moment brings. We were only in Kathmandu for a couple of days while getting situated and procuring our permits. Unbeknownst to us, we arrived on the eve of Nepali New Year, which meant banks and government offices were closed the following day. Though this delayed our intended departure, we were provided with a welcome opportunity for exploration, visiting early-morning locals’ markets, dining at several of Kathmandu’s delicious restaurants, visiting some of the historic sites, and walking around the city’s endless streets and alleys. Rubble from the 2015 earthquake was still piled up along many streets. With the government offices once again in business, we received our permits and were now ready to take on the most logistically-challenging part of the trip: securing transportation to the trailhead — about 200 kilometers and 9 hours away. If you’re doing the math in your head and wondering why 200 kilometers would take so long to cover, you might appreciate learning that the Nepali road network is very limited, poorly maintained, highly congested, and largely unpaved, especially in the more mountainous parts. We took a mix of taxis, vans (called ‘microbuses’), and jeeps, ultimately arriving to our destination at sunset of our third day. We began the hike in the village of Jagat, past the official start of the trail at Besisahar. We made this decision because the developing road network I just mentioned is eroding the charm of the lower-elevation portions of the Annapurna Circuit. The trek presents a variety of ironies and contradictions. Road-building is connecting rural villages to the rest of the world, offering economic development opportunities and access to goods and services. Yet with this promise of an easier life for rural residents comes the reality that many trekkers now bypass these more accessible villages by hiring jeep drivers to take them further up. The road network reaches deeper into the trek and higher into the mountains each year, and indeed many trekkers opt to drive all the way up to the rest-town of Manang at 12,000 feet, reserving insufficient time to acclimate to the high altitude before attempting Thorung-La Pass at 17,769 feet and giving search and rescue teams plenty of work. The trek offers a wide variety of landscapes; opportunities for cultural immersion visiting ancient villages; challenges such as acclimatization and impossibly steep trails; and rewards of many kinds. Among these is the pleasure of “teahouse” (or guesthouse) lodging, which means leaving the tent at home. The teahouses are mostly small, family operations offering rustic rooms — usually with two twin beds, a light, and maybe an outlet for charging — and a common dining area. If you agree to eat dinner and breakfast at the establishment, lodging is free or quite inexpensive. Indeed, the most we paid was $10 a night for a room, and that was deep into the trek and at the highest of elevations, where costs were understandably higher. Knowing that a warm meal and a bed awaited at the end of the day was incentive to endure the more trying parts of the hike. Total days: We completed the hike in 9 days, with a travel day on either end added for a total of 11 days. Mileage and elevations: We started at 4,265 ft / 1,300 m in the jungle village of Jagat and topped out 17,769 ft / 5,416 m at Thorung-La Pass, covering 92.5 miles / 149 km. Self-guided: We chose to self-guide and had no problems doing so, as the trail is mostly well-marked and maps are readily available for purchase. Most trekkers hire a guide and porter(s). Loose itinerary: The nature of teahouse trekking is that a rigid itinerary is not necessary: simply hike until the next village (generally spaced 1 to 3 hours apart) and look for lodging when you’re ready. We trekked in April 2018, avoiding the busy months of October and November when finding lodging at the end of the day can prove difficult. In our case, we committed to doing the trek just a few weeks before going. We booked our flights 5 weeks before the trip and the game was on. Day 0: Kathmandu to Besisahar via microbus, then to Jagat via jeep. Lodging at New Revel Guesthouse, Jagat. Day 1: Jagat > Danakyu. Lunch at Peaceful Guesthouse, Tal. Lodging at Mount Kailish, Danakyu. Day 2: Danakyu > Upper Pisang. Lunch at Trekker Holiday Hotel, Chame. Lodging at Hotel Alobar 3300, Upper Pisang. Day 3: Upper Pisang > Manang. Lodging at Himalayan Singi, Manang. Day 4: Acclimatization day in Manang. Lodging at Hotel Royal, Manang. Day 5: Manang > Letdar. Lunch and lodging at Snowland, Letdar. Day 6: Letdar > Thorung High Camp. Lunch at Thorung Pedi. Lodging at High Camp. Day 7: High Camp > Thorung-La Pass > Muktinath. Lodging at Hotel Buddha & Himalayan, Muktinath. Day 8: Muktinath > Kagbeni. Lunch and lodging at YacDonald’s, Kagbeni. (Yes, you read correctly. The place is called YacDonald’s…and it was the most charming and our favorite of the trek). Day 9: Kagbeni > Jomsom. Lodging at Trekkers Hotel, Jomsom. Day 10: Jomsom > Pokhara (flight). Lodging at Hotel Iceland, Pokhara. A common destination after concluding the Annapurna Circuit is the lakeside resort town of Pokhara. It’s a 30-minute flight from Jomsom or a 12-hour bumpy bus ride. Flights are fairly pricey and frequently sell out. We were able to secure tickets upon our arrival in Jomsom, but many other trekkers were out of luck. We paid $140 per person, which is roughly what each of us spent on all food and lodging over 9 days on the trail — quite a sum to spend on a short flight, considering how far one could make $140 stretch in Nepal. Yet when we reconnected in Pokhara with friends we had made on the trail and heard horror stories of flat tires, lost backpacks, and unexpected delays by bus, we were more than pleased with our choice. We staved off food poisoning, altitude sickness, and other ailments while on the trail, but upon arrival in Pokhara we both got sick. We spent two lazy days recuperating and enjoying the comforts that a larger town with amenities had to offer. We did some shopping for gifts and met several trail friends for meals — Rose and Rink from Holland; Jana from the Czech Republic; Aurelie, Max, and Phoebe from France; and Jess and Nathan from London. From Pokhara, we took a comfortable tourist bus to the Kathmandu Valley town of Bhaktapur. We stayed in the hilly outskirts at the delightful Bhaktapur Paradise Hotel, a fairly new hotel built in the Nawari style of architecture, featuring impressive woodwork and terra cotta tile work. A 30-minute walk from the hotel is the UNESCO World Heritage Site of Bhaktapur Durbar Square, location of the royal palace and countless labyrinthine alleyways lined by vendors of clay pots, woodwork, vegetables, and spices. 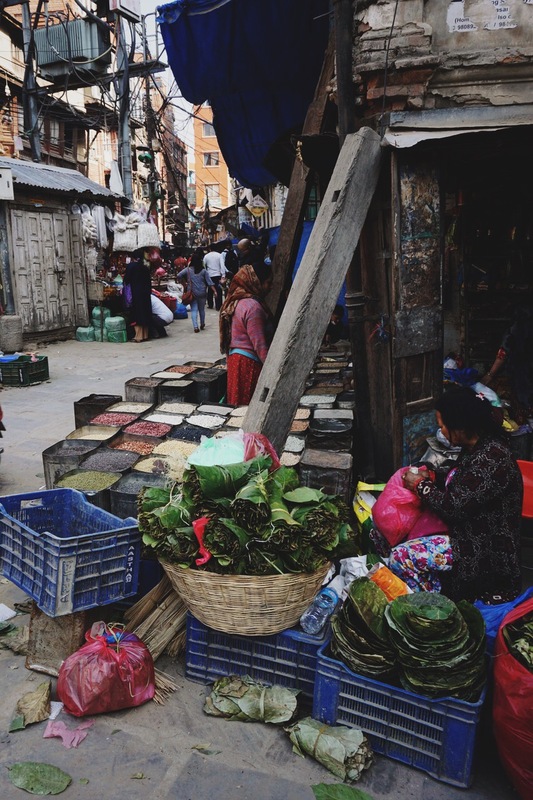 The walk to Durbar Square was itself an experience. With few tourists staying in the outskirts of town, we were treated to a more authentic immersion into Nepali life. We loved Bhaktapur and stayed three nights. It’s difficult if not impossible to capture the depth and breadth of the experiences that this first trip to Nepal presented. Nepal is a magical land that casts a strong spell, and indeed we met travelers who return to Nepal year after year or have made it their home because its charm is so strong. To go beyond the rudimentary daily accounts above, here is a patchwork collection of vignettes aimed at revealing just some of the things that make Nepal so special. I saw brightly dressed Hindus selling vibrantly colored fruit from bicycles and neatly sorted vegetables from tarps laid on the ground. I saw goats and yaks leashed too short, and then a traffic jam caused by unleashed goats milling about unconcerned. I saw countless Nepalis sweep peacefully and resiliently — cleaning steps, doorways, and unpaved sidewalks and streets — in a relentless mission against the inevitable return of dust and dirt. 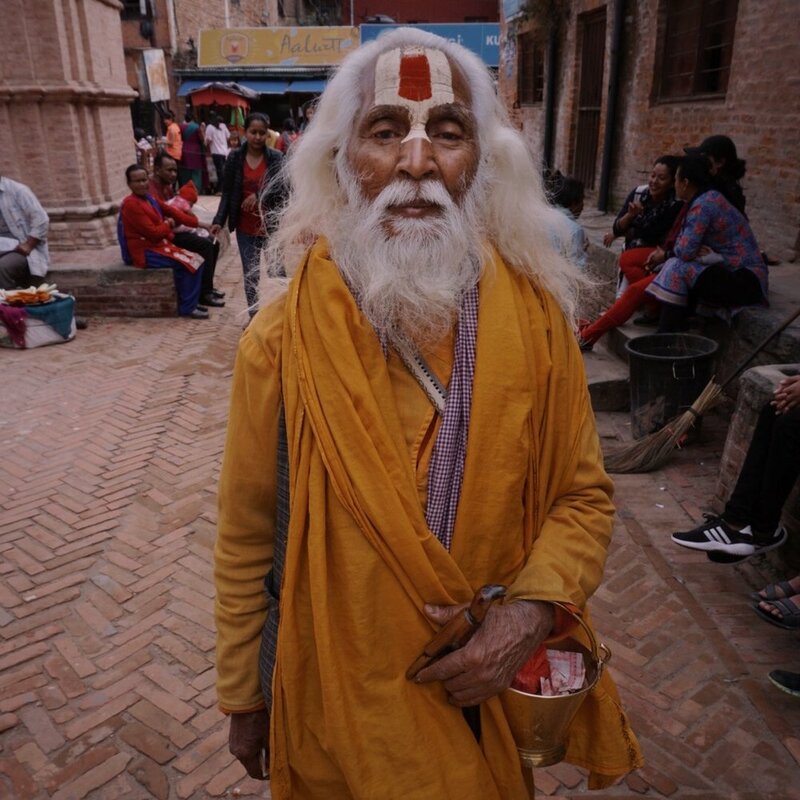 I saw Sadhu pilgrims who started their journeys in the jungles of India hundreds of miles away, carrying next to nothing and managing to appear so well-composed and presentable as to inspire me to do a better job of it when I travel, and especially when backpacking. I saw elder Tibetan women spinning prayer wheels, and an ancient woman with few teeth breaking stones for a high-mountain village path project. I saw cows lingering at a traffic median as hundreds of cars, trucks, and motorcycles whizzed past and pedestrians threaded their way to safety. I saw mountains so steep that the trails to scale them could not afford to be gentle. I saw young Tibetan boys play around like children anywhere else, dressed in crimson red track suits as their senior monks watched them in crimson monastic habits. I saw drivers use their horns for echolocation and not once become upset when honked at. I saw glaciated peaks above 25,000 feet turn into clouds and clouds turn into mountains. I saw orchids in the rainforest as big as my hand, with patterns fit to be designs on an Oscar gown, with built-in umbrellas to prevent them from drowning in the rain. I saw a Himalayan pika scurry from rock to rock at 16,500 feet, larger but just as industrious and adorable as its North American cousin. I saw strangers from around the world become close friends and act like they’ve known each other for ages. I saw a three-year-old boy run around pantless and climb every object in sight without fear. I saw families open their modest homes as shelter to strangers, and their kitchens become havens for storytelling. I saw people I’ll never see again greet me with a heartfelt “namaste” that peered deeply into my soul. I saw medieval villages built of brick and mud centuries before communist China was born and centuries before it invaded Tibet, and still today in these villages tradition carries on despite the odds. I saw a land and people poor in material wealth and yet richer than any I could have imagined, where now means more than yesterday or tomorrow, and honest connection is the most valuable currency. I saw babies patiently watching the world around them, tied in bundles on their mothers’ backs. I saw horses with half of their bodies inside teahouse kitchens receiving leftovers from kind staff. I saw dogs sleep all day in the chaos and bark all night in the quiet hours. I saw young porters climb steep mountains in simple footwear while carrying three backpacks’ worth of weight on their foreheads. I saw riverbeds turn into trails and trails turn into roads and back again. I saw loved ones cremated by the river while a boy sifted barefoot through the muck in search of valuables. I saw tea served at 17,769 feet by a friendly, intrepid man — surely among the highest dwellers in the world. But mostly I saw genuine smiles and open hearts acknowledging the presence of god in everyone and everything. The many dogs we saw seemed to mostly be daytime sleepers, yet we would often hear them bark through the night. Our theory: it’s so loud in the city during the day that they can’t communicate over the noise, so they rest during the day until it’s quiet enough to catch up. This duo hiked with us for a good portion of our first day. We encountered our favorite dog in the Tibetan village of Kagbeni. We followed him as he led us up hidden walkways to a view high above the village, overlooking an ancient monastery and, beyond it, the mountains of the Kingdom of Mustang which connects to Tibet.